I decided to peg my mortise and tenons that attach the leg top and bottom to the main section. These joints can get a lot of stress if someone leans on the table. In reality, the M+T is plenty strong – they are big with lots of glue surface, but I always like to add mechanical joints if I can. 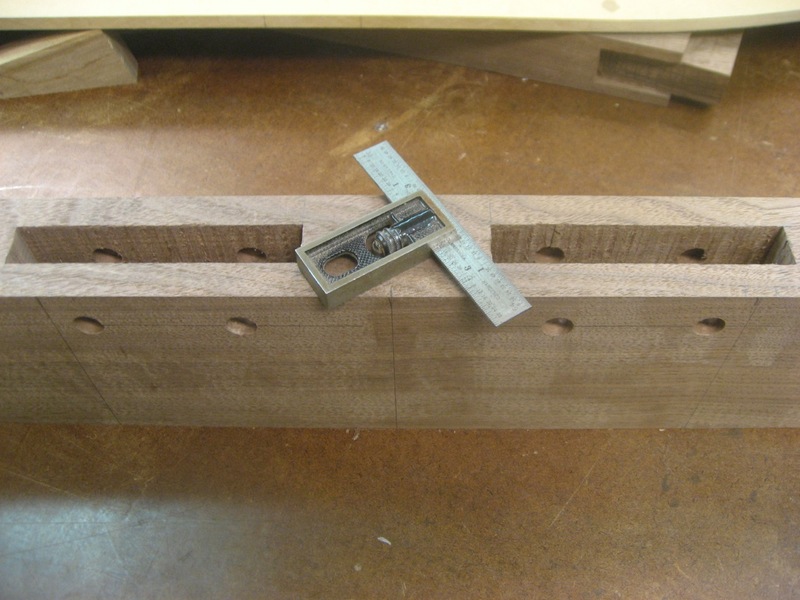 Each tenon (of the twin tenons) gets two 1/2″ pegs. I first drill through the inside of the leg mortise. Drilling 1/2" holes in a mortise to peg the tenon. Mortise drilled with 1/2" holes for pegs. 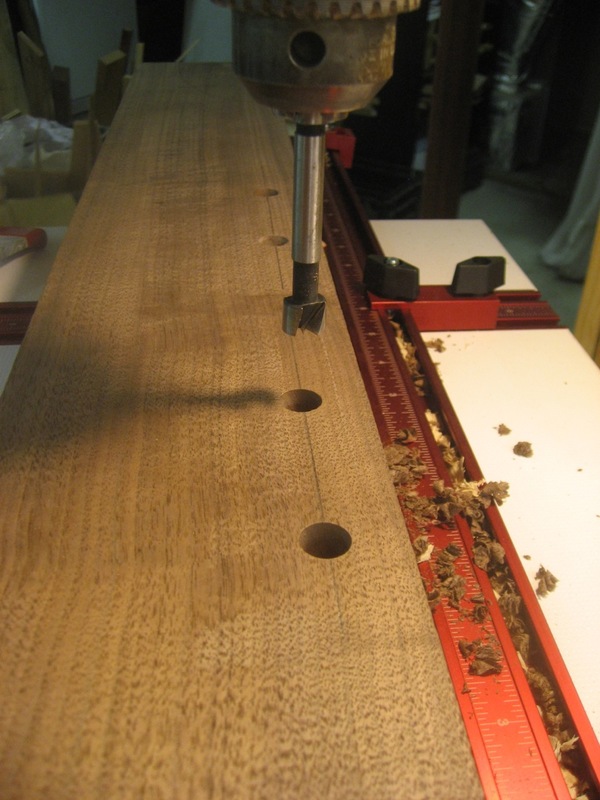 I then insert the tenons into the mortise and mark the center with the same 1/2″ forstner bit. 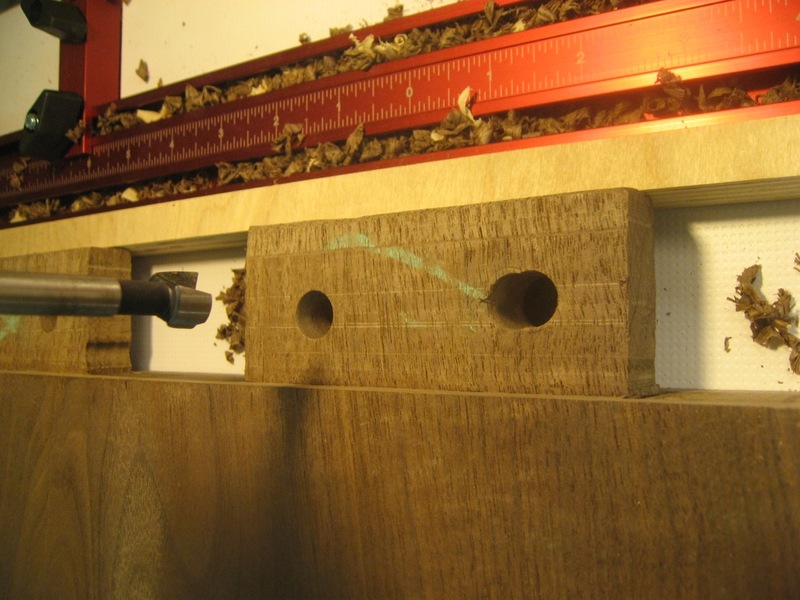 I use the same forstner bit to mark the hole location in the tenon. 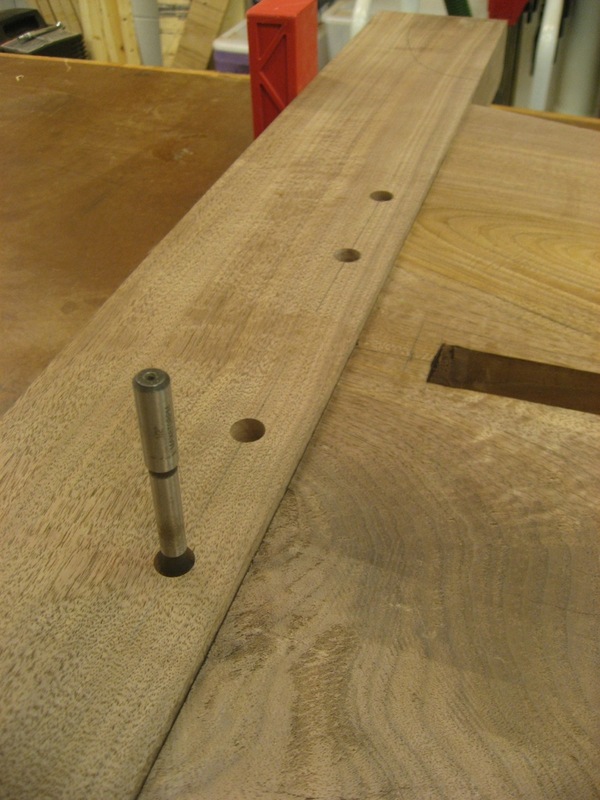 The tenon gets offset holes (about 1/16″) to pull the joint nice and tight. The outside of each set of pegs has an elongated peg hole to allow for expansion and contraction of the leg. Drilling the 1/2" peg holes in the tenon.